The Elko County Fair has been mixing families and fun for 99 years! We have entertainment and events for everybody in the family – crafts and critters, the carnival and fair food, horse racing, live music, the stockhorse show, and MORE! New this year – the Country Showdown, America’s oldest and biggest talent search for hot new country musicians! 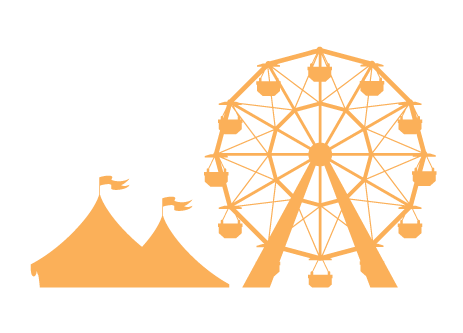 Send out the summer with a big, winning smile – Labor Day Weekend at the Elko County Fair! So much to see... so much to do! Here's how you can get your hands on tickets to the Fair! We also have a schedule of events you can enjoy at the Fair as well as a map showing where all the excitement is happening. We’ve even got lodging information for our out-of-town guests, though you might have a challenge finding time to sleep with all of the fair fun going on! Make it, bake it, grow it, show it! The BEST way to enjoy the Fair is as an exhibitor! Here's where you can get information on entering any of the hundreds of contests at the Fair... from home arts exhibits, to the Cowboy Color Chase, to the stock horse show, horse racing, the parade, the family fun competitions and more. There's a contest for everybody at the Elko County Fair! For more than 99 years, hundreds of volunteers and dozens of local businesses have teamed up to bring you Nevada's funnest end-of-summer event. There's something here for everyone! We welcome you to join us as a contestant, a guest, a volunteer or as a sponsor. There are all kinds of ways to get involved in YOUR hometown county fair!